Check the new Internship being offered by Treasure Valley Coffee in Redmond. The internship opportunity will be to shadow and assist Journeyman Service Tech performing diagnostics to coffee brewing equipment, water coolers and cappuccino machines. Once a diagnosis is made the next step is to determine what parts are required and repair as needed. This is a great opportunity to learn from an expert on coffee technology. Go check out the details in the Internship section! For those interested in a career path in Child Development and Care, Ermila's Childcare and Bilingual Preschool is offering an opportunity to intern at their facility working directly with young children. This is a paid internship with the opportunity to work through the summer. For more details refer to the Internship listing. Sunwest Builders has opened another summer internship for those interested in pursuing a career path in construction. Working on various SunWest Builders job sites in Bend and Redmond as a general laborer and carpenter's assistant. The intern may also spend time in the shop assisting the Safety Manager. Activities will include attending safety meetings, assisting with Job site cleanup and learning beginning carpenter skills as the opportunities arise. This is a great learning opportunity to work and learn during the summer. CoEnergy is now offering another internship at their facility. The intern will be working and learning in an office environment related to customer service, also including filing, operating cash register, help with daily tasks. This is a paid internship and for more details refer to Internship listing. 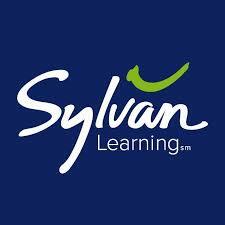 Congratulations for Kyler Outman for landing a great internship at Fuel Safe!. Kyler will be working on engineering and manufacturing efforts during his internship. This internship fits right into Kyler's career path and desires to work in creative engineering and building within a manufacturing environment. A&E Masonry & Construction in Redmond is offering a great internship for students wanting to learn the construction industry. A&E Masonry & Construction is offering the opportunity to gain experience by working on a wide range of projects. This is a paid internship that can start immediately. If you are interested check out the internship listing and contact us for further details. Black Butte Ranch has just provide several internship opportunities in Sisters at their resort location. From Social Media, restaurant services, outside on the golf course, there is a wide ranch of opportunities in a great location just a few minutes outside of Sisters. Check out all of the postings on the Internships page. Congratulations to Jsamin Santillan! Jasmin was awarded an internship at Mann Mortgage in Redmond. Jasmin is a sophomore at Ridgeview High School. This internship is a paid, opportunity at Mann Mortgage with an opportunity for increased hours and responsibility during the summer months. Congratulations to Emily Osborne who just landed an internship at the City Of Redmond Community Development Department. 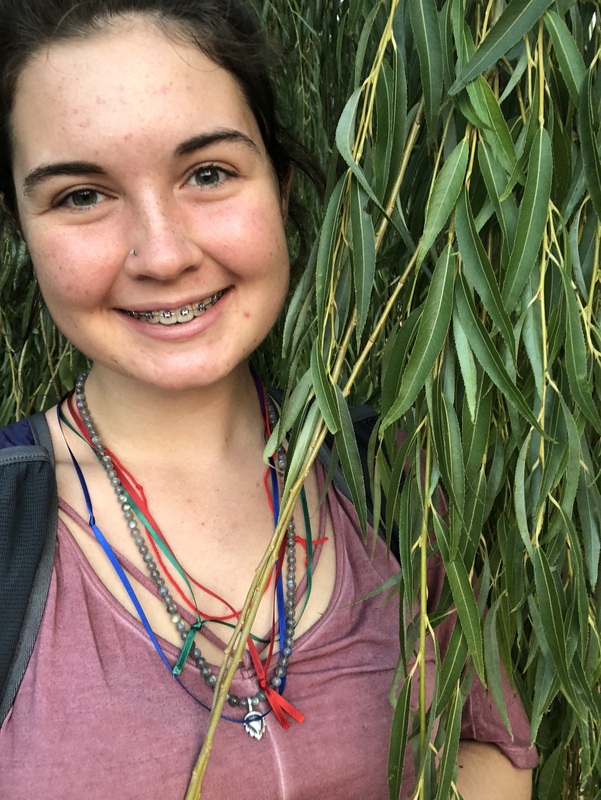 Emily will be helping the team on development efforts and documentation that is the primary responsibility of the department. 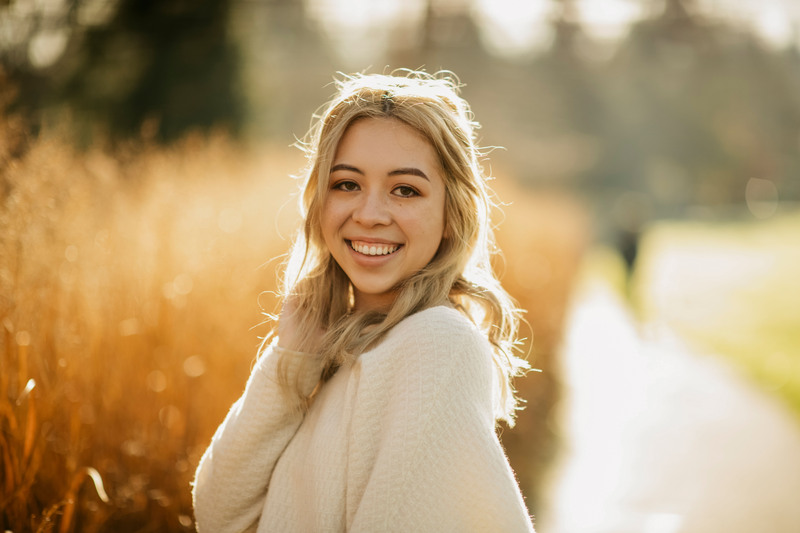 Emily is a Senior at Redmond High School! Way to Go Emily! Regency Village in Redmond is offering multiple volunteer type internships. There are different internship titles and efforts available. (List Enrichment Assistant, Dietary Aide, Caregiver/CNA, Housekeeping Assistant) Go the to Internship page and check these out. All of these are great opportunities at assisted living and care facility. St. Vincent de Paul is offering an internship. Assist the St. Vincent de Paul Thrift Store's household department with production, quality control, merchandising, and customer service. A regular day would consist of helping inspect and clean household donations, stocking the sales floor with "new" merchandise, straightening the sales floor, and assisting customers with any questions. Enjoy your internship with a fun staff and friendly customers. All of the efforts and funding generated at the thrift store go to help the local community members with food and other necessities. Congratulations Jacob Polachek from Sisters High School. Jacob just landed a great internship opportunity at Blazin Saddles Cycles. Jacob will be working in Sales and as a technician during his internship learning how the business operates. There is a great new internship in Sisters at the Sisters Motor Lodge. This is a great opportunity for a student that wants to learn more about how a business operates in the hospitality industry. The Youth Career Connect effort recently launched in the Sisters area and is making some great headway. The Sisters High School and local businesses are engaged and we are working together to help the youth in the Sisters area find internship opportunities. Check out the great article that came out in the Sisters Nugget. It is also posted here in the News section. Congratulations to Beth Anne Yount from Sisters High School! Beth Anne landed a great internship at Sisters Dental. Beth Anne will be learning directly what is takes to be a Dental Assistant. Beth Anne wants to continue after high school working towards a profession in the medical field. What a great way to get some real-world experience. Best of luck! Congratulations to Ashley Williams from Redmond High School!! Ashley landed an internship at the Dr Marci Aplin-Scott DMD Dental Office! This opportunity will help Ashley learn how a dental office operates. Ashley is planning on continuing her medical education after high school with the desire to become a Dental Hygienist. Here is a great opportunity at Windermere Real Estate - Noah von Borstel/Matthew Gilman Team for college students only. This intern will be helping with transaction coordination, customer relationship marketing, digital marketing and everything else pertaining to the world of residential real estate in Central Oregon. For more details go to the Internships page and look at this great internship opportunity. Congratulations for Cierra Jones for being selected for an internship at Timothy Park Photo + Video. Cierra will be asked to research agencies and companies in west coast cities, contact each company by phone to find out if they hire freelancers and getting specific contact information if so. This is a great opportunity to learn from an experience photography business and how to interact with existing and potential new clients. Good luck Cierra!! Mann Mortgage is offering a great new internship opportunity. This internship is a paid, temporary position at Mann Mortgage with an opportunity for increased hours and responsibility during the summer months. Being in an office setting for a Mortgage Company, the intern will be given training in all aspects of our business. There are four stages to this internship; Office Organization/Administration, Marketing, File Processing and ultimately learning how to be a Mortgage Loan Processor. 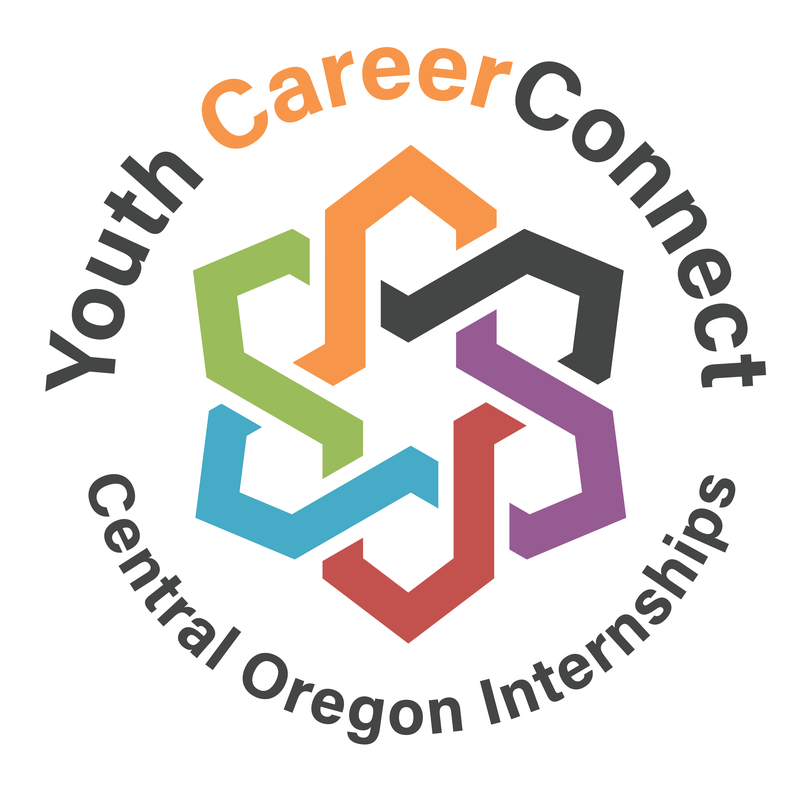 City Club of Central Oregons internship opportunity provides direct experience in multiple facets of operating a local non-profit as the intern will work directly with the Executive Director. Check out the internship listing for more information. Attention students with desires to work in child care and development. REACH in Redmond is offering two different internships that can start now and work into the summer! Check out the listings for both on the Internship page. Here is a great opportunity for students that are interested in working with a Redmond business to expand its market and social media presence. Pinto Decals Unlimited would like to host an intern to learn and participate in efforts to help the business grow by working with existing clients as well as potential news. Social Media efforts are great to help any business and there are projects that will be developed to get more people in the know about Pinto Decals Unlimited. College Marketing & Business Students! St. Charles is looking for a Marketing Video Intern to work with the Marketing and Communication team on a handful of video projects. Check the internships listing for more information on this paid internship. This is a great new opportunity from Sisters Dental! If you are interested in following a career path in the dental field this might be interesting to you. There are two terrific Internships being offered. Both are paid internships and have training provided. Go to the Internship page and check out the opportunities at Sisters Dental! Congratulations to Bethany Olsen!! Bethany is a Ridgeview HS student and is going to be starting her new internship at Highland Veterinary Clinic. This is a great opportunity for Bethany as she is looking at following a career path of working with animals and possible becoming at Veterinary! Foresight Learning Center in Redmond has just opened up additional internship opportunities!! They are currently offering 2 paid internships and at least 2 unpaid internships!! These are great opportunities for students wanting to learning, and work in an environment that supports children development. Go to Internship page and check these opportunities. Premier Printing Solutions is actively searching for a graphic design intern to join their team and learn about the graphics reproduction industry. Marketing Students, Steve Bennett Builders new internship gives you a chance to work and learn social media marketing, search engine optimization, paid digital advertising, WordPress website development, creative content creation, and direct marketing campaigns. New internship to help expand the business area for a local photography business.  Timothy Park Photo + Video would like to host an intern to help out in expanding the business while learning an organized systematic approach to marketing a photography business. Attention students in Sisters! Here is a good opportunity to show your social media skills while learning how the Tiny Home construction business works. Check it out this new internship opportunity from New Creations Tiny Homes. Congratulations to Susanna Bailey! Susanna just landed an internship at Redmond Area Parks and Recreation District. Susanna attends Ridgeview HS. Are you interested in Political Science? 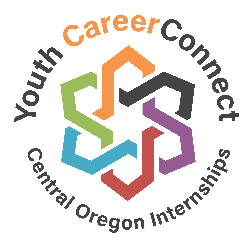 Central Oregon Builders Association is looking for an intern to assist in their Government Affairs department! Look at the internship post for more details and how to apply for this position. Congratulations to Jack Streans! Jack just landed an internship at Redmond Welding and Contracting. Jack attends COCC in the welding program. Redmond Welding and Contracting is a great fit for this internship and the owner Bend Davies is looking forward to having Jack start. The Redmond Airport has selected its first intern, Stephan Jean-Paul. Stephan is a COCC student going through the aviation program. Stephan is not new to aviation as he worked in aviation while serving in the US Navy. Thank you Stephan for your service and best of luck with your internship! Mia Thompson from Bend HS has landed a great internship at High Desert ESD in Redmond! This is a great opportunity for Mia to show her graphics designs skills in helping HD ESD with their marketing and social media efforts. Congratulations Mia and good luck! Lynch Pro-Formance Products in Redmond has selected Noah Brown for an internship position. Noah has a passion for cars and will be learning the inner operations from seasoned professionals at Lynch Pros. Congratulations Noah! Congratulations Jonathan Orozco! Jonathan has been selected to intern with the City of Redmond in the Community Development Department. This is a great opportunity to learn how one of the departments within the City of Redmond operates. Jonathan wants to learn how business operates so this fits within his career path motivations. Congratulations Natalie Overbay! Natalie a student at Redmond Proficiency Academy is starting her internship at East Cascade Works in Bend. Natalie will be helping out on the marketing and social media efforts at EC Works. Graphics Artists! Are you looking for an internship? The De Leone Corporation has posted a new internship opportunity. For those of you with Adobe Illustrator talents this might be for you. Please take a look at the Internships section for more details. Are you interested in participating in your Central Oregon community and helping others in need? Check out both new internship opportunities with the Latino Community Association! WELDERS ATTENTION! Redmond Welding and Contracting has just opened up an internship opportunity in Redmond. This is a great opportunity for students that is going through the college level programs in the area. Age requirement is 21 years old. IMMEDIATE OPPORTUNITY!! 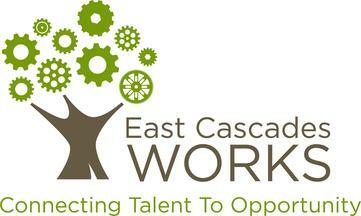 East Cascades Works would like to host an intern in Bend. The opportunity is to help with the communications in media and outreach. This is a great opportunity for someone that understands social media and communications! This is a regional posting. Please contact either the Bend or Redmond Internship Coordinators. Check out the new internship opportunity at Farmers Insurance! Just posted - New internship opportunity at Trout Realty!! Go to the Internship listings and check it out! The City of Redmond has a great new internship opportunity. Go to the internship listing page and see if you are interested! Check out the new Internship Posting from High Desert ESD. They want to bring on an intern to support the CTE/STEM Marketing efforts. Go to the Internship Listings and see if it is a fit for you. Good news! Sleep Inn and Suites just posted a new Internship Request. This will be a great opportunity for someone that is interested in learning about the hospitality industry. Congratulations to Braden Alexander for landing a new internship at Composite Approach!!! 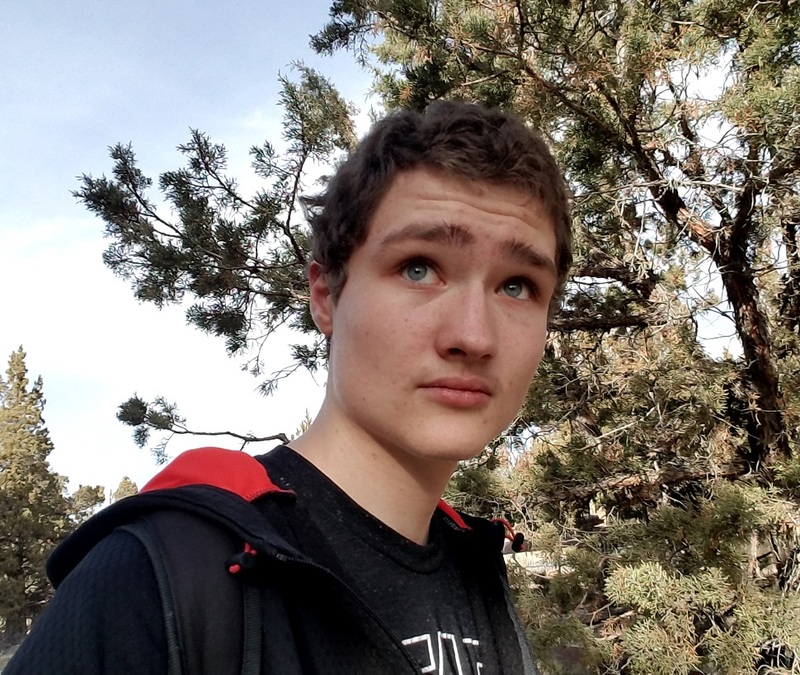 This the second internship for Braden where he will be working on graphics design and development as well as audio and visual projects for the company. Composite Approach is a growing company and is very supportive and engaged in the development of learning opportunities that will help students gain valuable work based skills. Check out new Internship post for the Redmond area. Composite Approach is looking for 2 Audio/Visual Interns. Click on Internships above and if it is fit for you! Just In!! New Internship Request from Faith Hope and Charity Vineyards in Redmond. Click on Internships to see the details. If it looks interesting call your local Internship Coordinator. Click on Internships above and see the new Internship Request from Composite Approach. They want to host an intern in their composites area. It is a great opportunity to see how the company works and to learn more about the composites industry. New Internship posting! Check out the new Internship opportunity at Windermere Real Estate. Take a look at the Intern Request from the Redmond Airport! This is a great opportunity to find out how the different departments at the airport operates. This will be a great learning opportunity that will allow exploration into a variety of different potential career paths. Congratulations to Ayla Adkins! Ayla has been selected to start an internship at Herringbone Books in Redmond. Noah Parks has landed a new internship at Colfax Tactical in their machining and fabrication area. Nice job Noah! Congratulations to Jamie Tracewell for landing an internship at Redmond Economic Development Inc. (REDI). This was a very competitive application and interview process with students from the region up through OSU Cascades. Hey for anyone interested in a career path in the dental field take a look at the internship posting from Rimrock Dental of Redmond! Click on Internships above and find out if it is interesting. Congratulations to Zoe Lucas!! Zoe has accepted an internship at Rock That Ink. Zoe will be helping out in the marketing and sales portion of the Rock That Ink business. Good luck Zoe! Congratulations to Brandy Toribio! Brandy interviewed at CoEnergy Propane! Another internship placement! 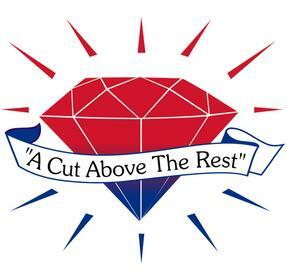 Kyler Outman has successfully been placed at Diamond Refrigeration and will be starting his internship when school lets out for the summer. Nice job Kyler! Congratulations to Braden Alexander!! Braden will be starting his new internship at Impact Graphix. This is a great opportunity for Braden to learn about the graphics design industry and show his talents. Congratulations to Isaac Hathaway for getting an internship at Rock That Ink!! Isaac will be helping out in the production department of Rock That Ink. Isaac has a lot of technical skills that will definitely help out!! Good luck Isaac! Congratulations to Ashlee Loranger! Ashlee will be starting her second internship with Redmond Area Parks and Recreation District. Ashlee will be ending her first successful internship with H.A. McCoy and moving right into her second. That is a great accomplishment! Good luck Ashlee and continue your good work! Congratulations to Bryan Turner! 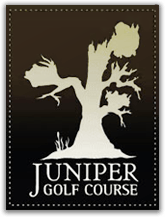 James will begin his new internship at Juniper Golf Course in the Operations department. James attends Ridgeview High School. Good Luck James! Congratulations to Sean Tassie! Sean will be starting his new internship at Juniper Golf Course!! Sean attends Ridgeview High School. Good Luck Sean. Congratulations to Miguel Martinez!! He will start his internship at Quality Truss on 3/26/2018. Good Luck Miguel! Congratulations to Kate Hardy!! Kate will be starting a new internship at Herringbone Books. Kate is a student at Ridgeview High School. Good Luck to Kate! Congratulations to Dominick Johnson!! Dominick as been accepted for the internship at Quality Truss. Dominick will be supporting the production efforts at Quality Truss. Dominick is a graduating senior at Ridgeview High School. Congratulations to Sinai Lepe!! Sinai as been accepted for the internship at High Desert Education Service District. Sinai will be working as a Spanish Interpreter during her internship. Sinai attends Redmond High School. Congratulations to Wendi Ayala!! Wendi has been accepted for the internship at High Desert Education Service District. Wendi will be working as a Spanish Interpreter during her internship. Wendi currently attend OSU Cascades. Congratulations to Destiny Perkins!! Destiny as been accepted for the internship at Brightside Animal Center. Destiny will be supporting the center by assisting in with events and learning the general business aspects of Brightside Animal Center. Destiny attends Ridgeview High School. Congratulations to Kolby Meyers!! Kolby as been accepted for the internship at Panacea At The Canyon. Kolby attends Ridgeview HS. Congratulations to Garrett Pinkerton!! Garrett as been accepted for the internship at Panacea At The Canyon. Garrett attends Ridgeview HS. Congratulations to Jill Norris!! Jill as been accepted for the internship at Opera Bend. Jill is supporting the program of "The Secret Garden" that will be performed at Ridgeview High School. Jill attends Ridgeview HS. Congratulations to Jack McKenzie!! Jack as been accepted for the internship at Composite Approach. Congratulations to Libby Hunter!! Libby as been accepted for the internship at Brightside Animal Center. Libby will be supporting the center by assisting in with events and learning the general business aspects of Brightside Animal Center. Libby attends Redmond Proficiency Academy. Congratulations to Kolby Meyer!! Kolby as been accepted for the internship at Big Sky Balloon. Congratulations to Logan Heagerty!! Logan as been accepted for the internship at Composite Approach. Logan will be working as an Audio/Visual Intern with projects focused on support for the new training and process manuals. Congratulations Garrett Pinkerton. Garrett as been accepted for the internship at Big Sky Balloon. Congratulations to Natalie Montalvo!! Natalie as been accepted for the internship at Redmond Area Parks and Recreation District. Natalie will be working in their Adventure Quest Program. Congratulations to Antonio Guardado!! He has been selected by Composite Approach to start an internship as a Composite Technician Intern! Antonio is a senior at Ridgeview High School. Congratulations to Emily Arrant! Emily started her internship at Redmond Area Park & Recreation District today! Emily is a Senior at Ridgeview High School. Congratulations to Makenzie Harris! Makenzie started her internship at Redmond Area Parks and Recreation District today! 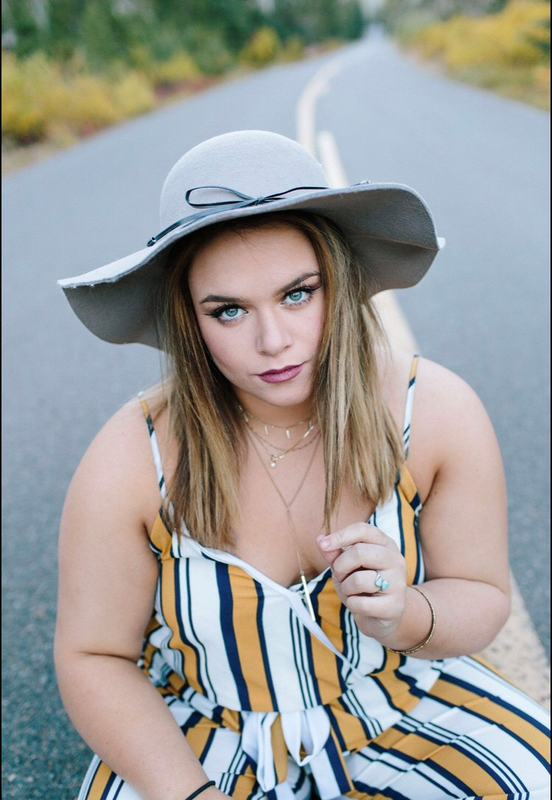 Makenzie is a Senior at Ridgeview High School..
Congratulations to Sonja Alridge! Sonja started her internship at PCC Schlosser today! Sonja attends COCC. Congratulations to Gavin Carroll! Gavin started her internship at PCC Schlosser today! Gavin attends COCC. Congratulations to Karlie Skala! Karlie start her internship at Evergreen Preschool and Childcare today. Karlie attends RidgeView High School. Congratulations to Ashlee Loranger!! Ashlee started her internship at H.A McCoy Engineering and Surveying today. Ashlee is a Junior at Redmond High School. Congratulations to Ashlee Green! Ashlee start her internship at Green Plow Coffee Roasters. 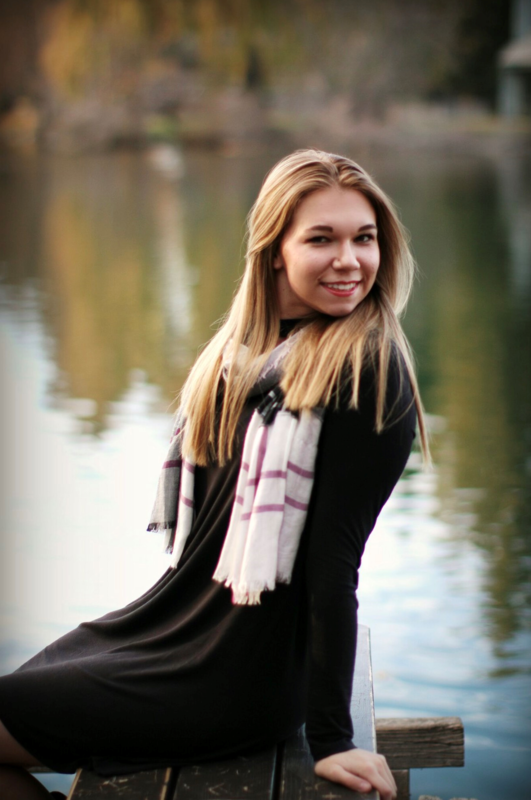 Ashlee is a senior at Redmond High School! Congratulations to Kaylee Renfro!! Kaylee started her internship at Shasta Administrative Services today. Kaylee is a Senior at Redmond High School. Congratulations to Rider Molina! Rider started his internship at Impact Graphix and Signs today. Rider is a senior at Redmond High School. Congratulations to Donovan Marlitt!! Donovan started his internship at Straw Propeller Gourmet Foods today. Good Luck Donovan! Congratulations to Jasmine Yegge! Jasmine started her Internship at Farmers Insurance - Dennis Marbell Agency. Jasmine is a Senior at Redmond High School. Congratulations to Skyler Black! He started his Internship at Risse Racing Technologies! Skyler is a sophomore at Ridgeview High School. Congratulations to Sam Stout! He started his internship at Composite Approach today! Sam is attending OSU Cascades working towards his Energy Engineering degree. Congratulations to Ina Payton! She started an internship at NailMagic. Ina is a Senior at Redmond High School.